We at Ryl Designs would like to wish you a healthy and prosperous Year of the Snake! Wishing you the best of luck, best of joy, best of prosperity, best of happiness and the best of 2013 ahead. 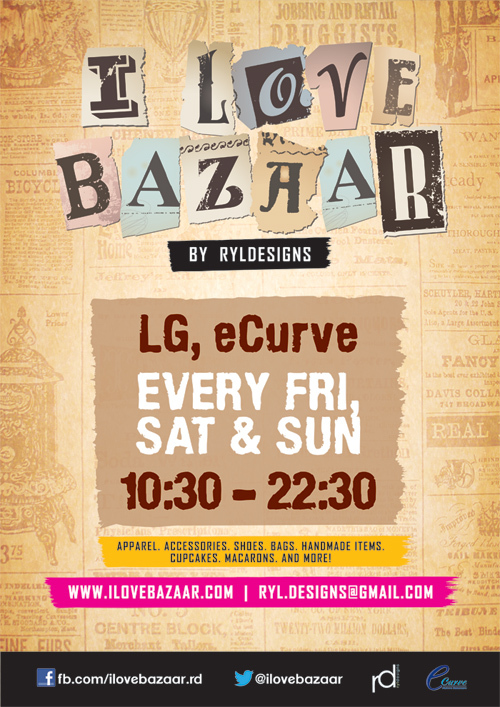 What better way to kick off the year than to join us in our latest bazaar venue at e@Curve, Mutiara Damansara. We have 20 stalls selling Clothes, Accessories, Bags, Shoes, Knicks Knacks, Vintage Items, Homemade Cookies & Cakes, Handmade Items etc. Each vendor will be provided with 2 chairs, either 1 or 2 unit(s) of table (depending on products) and table cloth.